Home > Blog > Flashpoints > Wellness Programs: Coercion? Unlike the citizens of most other countries, most American adults with health insurance get it through their employers. This situation has led to the development of workplace wellness programs, in which some employers offer their employees incentives to improve their health — and, hopefully, consume less health care, saving the company money in the process. While workplace wellness programs have been around for decades, they’ve been on the rise in recent years — in part because of supportive treatment by the Affordable Care Act (“Obamacare“). 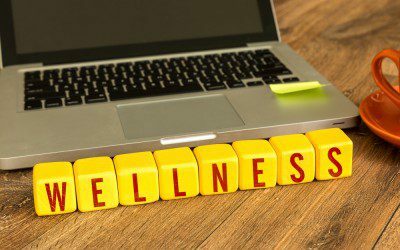 Many people who study the issue believe that workplace wellness programs benefit both employers and employees, saving money for both groups and improving employees’ health in the process. Typically, employers offer a financial incentive to encourage participation — either a fixed bonus amount, or a percentage discount on health insurance premiums. Earlier this year, the Equal Employment Opportunity Commission — the federal agency that oversees workplace wellness program rules — announced that starting next year, employers will be allowed to offer incentives as high as 30% of the cost of health insurance premiums. In response to the Equal Employment Opportunity Commission’s new rule, AARP — the advocacy group for older Americans — filed a lawsuit on Monday that seeks to put the rule on hold, as noted by The New York Times. The suit alleges that by allowing such large financial incentives by employers, the Commission is allowing them to coerce employees into sharing confidential medical information. Typically, workplace wellness programs require participants to complete a health assessment, which some advocates fear could be used illegally by some employers to discriminate against employees with expensive health conditions. Most wellness programs, however, are independently administered — meaning that an employer has no access to participants’ health information. In fact, most employers do this deliberately to reassure employees that their health information will remain confidential. Still, AARP objects to employees’ being pressured to share this information at all, which sometimes covers not just an employee’s health conditions, but also those of his or her spouse. In response to claims that participation is voluntary, AARP argues that many employees can’t afford not to take the financial incentive that’s offered — in effect, that employees who don’t participate are being penalized, sometimes to the tune of around $2,000 per year. What’s your take on workplace wellness programs, and the AARP lawsuit — do you think these programs are coercive? Have you ever participated in such a program? If so, did you feel uncomfortable sharing your medical history and conditions? Do you think your participation gave you actual health benefits? Do you think that employers should be able to offer financial incentives to participate in wellness programs? If so, should there be a limit to how large these incentives can be? Leave a comment below!